You might Skol on Sundays in a Vikings costume, you know, like a warrior with a horned helmet or maybe even a purple suit and a fedora. 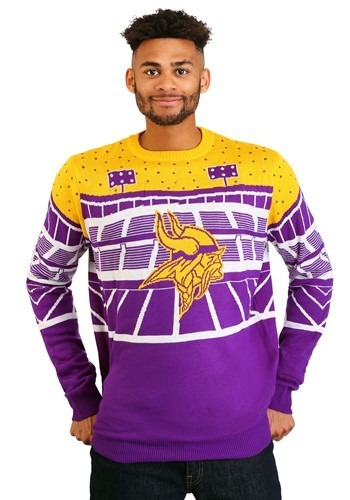 But when it comes to the Christmas season, we've got a whole new way to show off your Vikings spirit. 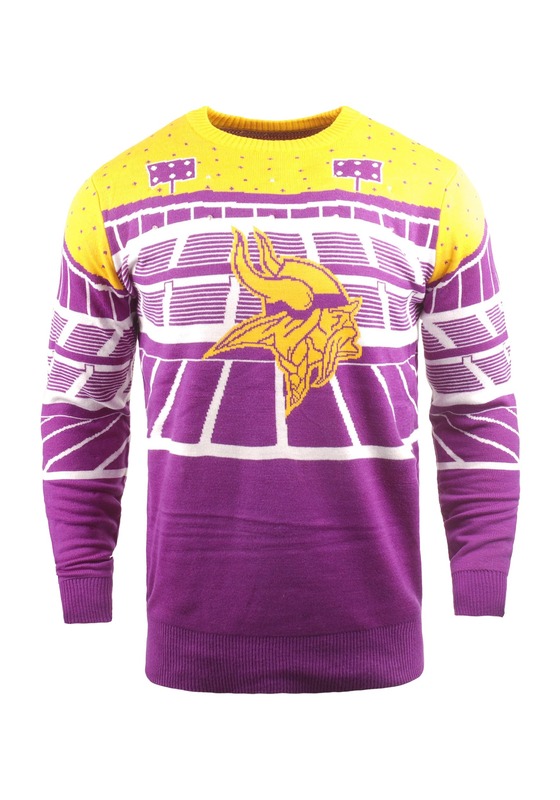 Just go in this Minnesota Vikings Ugly Christmas Sweater! 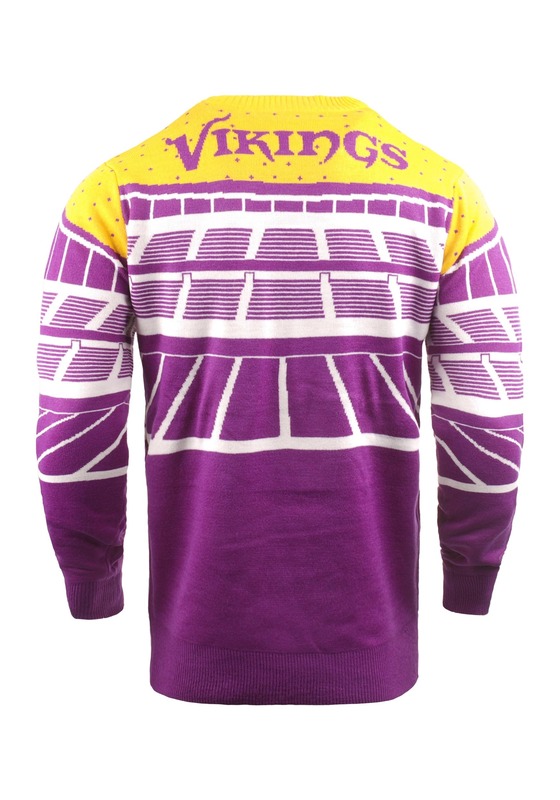 This Minnesota Vikings Light-Up Bluetooth Ugly Christmas Sweater is NFL officially licensed. Made with 100% acrylic fibers, it features a built-in speaker and lights powered by an attached battery pack, which just needs 3 AAA batteries to operate. It connects to your smart device via Bluetooth and plays your music over a speaker while flashing the lights to match the beat of your favorite music. 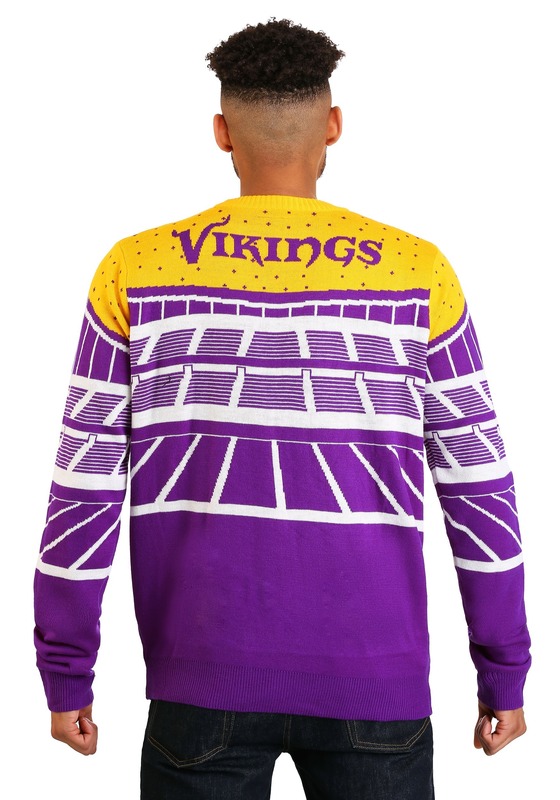 The knit-in Vikings design in purple and gold is sure to make quite an impression at your next ugly sweater party, particularly when you connect your device and get the decorative lights flashing! We're costume experts, first and foremost, but we're way into ugly sweaters, too, which is why we're proud to offer one of the widest selections of ugly Christmas sweaters on the web. And that includes plenty of exclusive, Made by Us designs! Whether you're set on the NFL or are seeking another popular licensed theme, be sure to browse our entire selection to see all of the coolest options available.